Don't just be good - be egg-cellent! 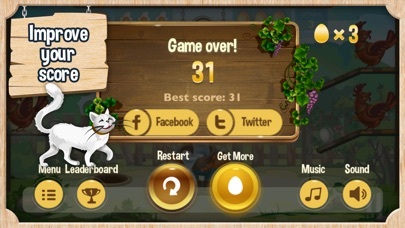 Catch the eggs falling from many directions in a chicken coop. How long can you go on without cracking an egg? 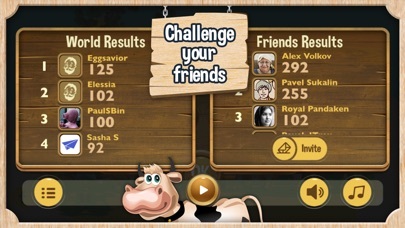 Challenge your friends and show them who is the real egg savior! 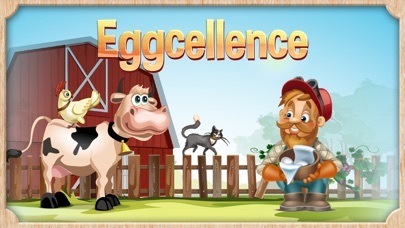 Eggсellence is a 2D family arcade game about farming. Meet Russ Eggsavior, a nice hard-working guy who is doing his best to keep his little chicken farm in order. 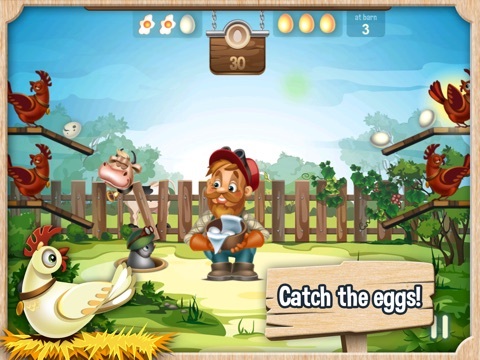 Help Russ at the farm, and don't drop the eggs! • Tap on the rolling board just in time to catch an egg. • Pay attention to egg order and speed. The game starts slowly but gradually speeds up. • Keep an eye on golden and spoiled eggs - they start to pop in after a while. • And, once again, don't drop the eggs! 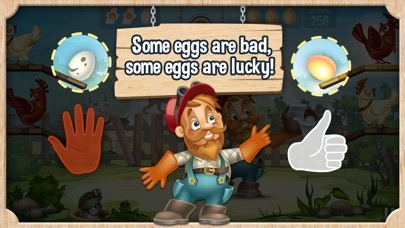 If you drop three eggs, you lose, so keep calm and save your chances! • 100% family friendly: even little kids can enjoy it, and it is all just sheer happiness and joy. 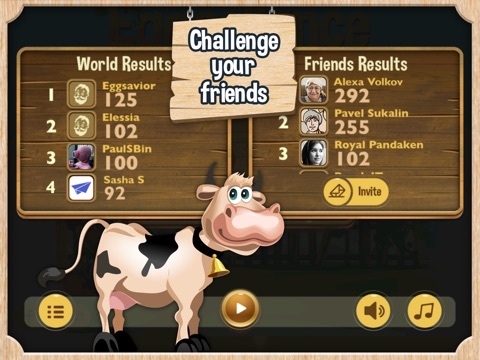 • Play for free: no need to make in-app purchases to win. • Train your reaction: act fast to be the best! • Good for the brain: the game trains your attention, focus, multi-tasking and decision-making. 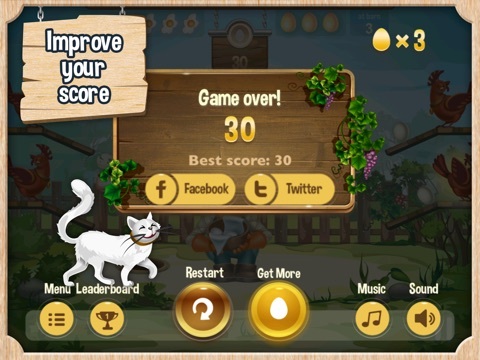 • Spirit of competition: enter leaderboards and share your achievements to prove that you are the best egg catcher! 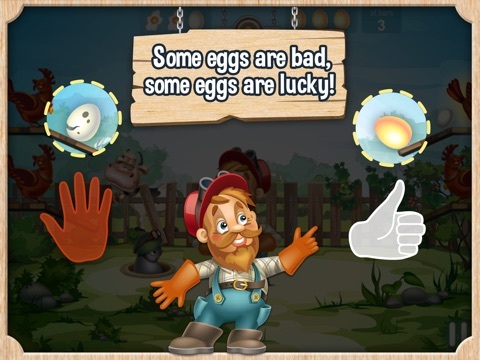 • Intriguing element of luck: every next egg can be golden! 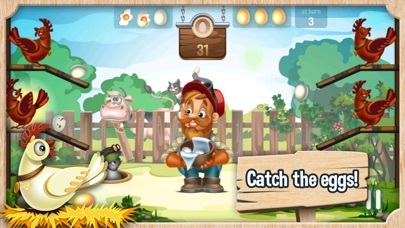 • Cute game art: sweet 2D animation in a classic cartoon style loved by many generations. • Sweet main character: Russ Eggsavior is the most charming farmer you have ever met. Follow us on Twitter and Facebook to learn more about special events and gifts! 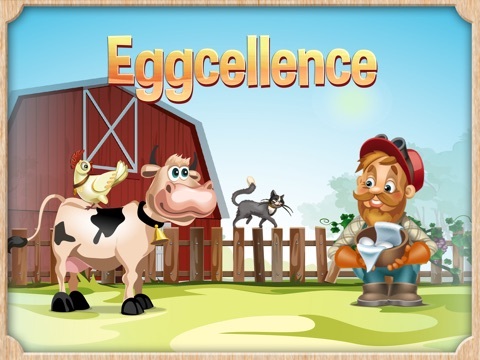 Eggсellence is the new excellence!